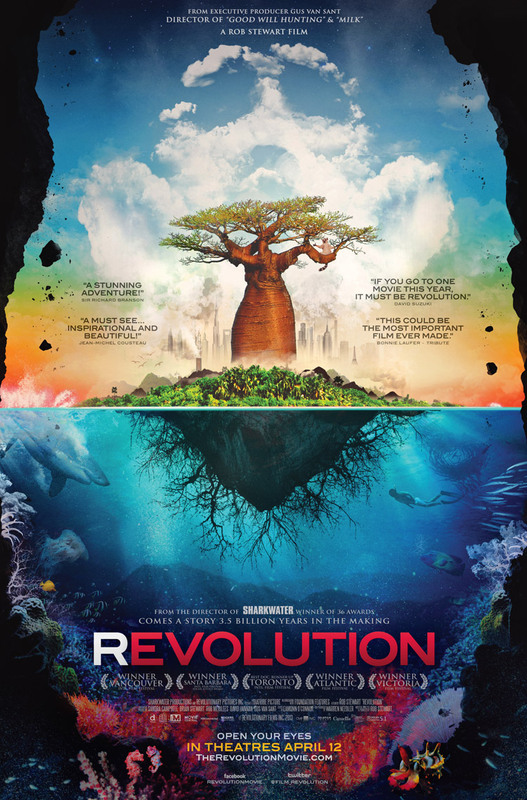 Revolution – film about changing the world. The true-life adventure of Rob Stewart, this follow-up to his acclaimed SHARKWATER documentary continues his remarkable journey; one that will take him through 15 countries over four years, and where he’ll discover that it’s not only sharks that are in grave danger — it’s humanity itself. Travelling the globe to meet with the dedicated individuals and organizations working on a solution, Stewart finds encouragement and hope, pointing to the revolutions of the past and how we’ve evolved and changed our course in times of necessity. If people were informed about what was really going on, they would fight for their future — and the future of other generations. From the evolution of our species to the revolution to save it, Stewart and his team take viewers on a groundbreaking mission into the greatest war ever waged.